I was intrigued by the combination of ingredients and readily put it on my “make this soon” list. I have a pantry full of homemade marinara sauce from last year’s summer bounty and I love using it up in new and interesting ways. 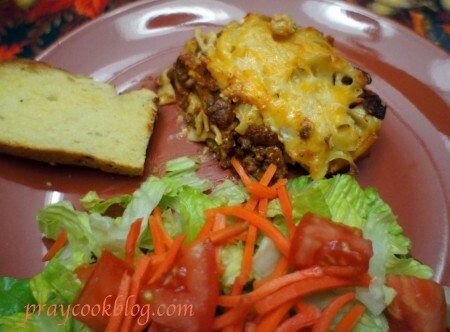 Mary says this is an “old” recipe often found under a variety of names such as Sour Cream Noodle Bake, Sour Cream Baked Spaghetti, Husband’s Delight, Italian Delight even Godfather Casserole. My sous-chef dish-washing mom and the Chief both gave this a “thumbs up”. We actually loved it. It made a large pan full and I put half in the freezer and will be serving it up again shortly. You will find the recipe here at Deep South Dish.Thank you Mary for yet another excellent recipe. Blessings! I am chuckling as I read this post. After returning home from our honeymoon, I decided I wanted to try a new recipe, something I’d never made before for Jeff. 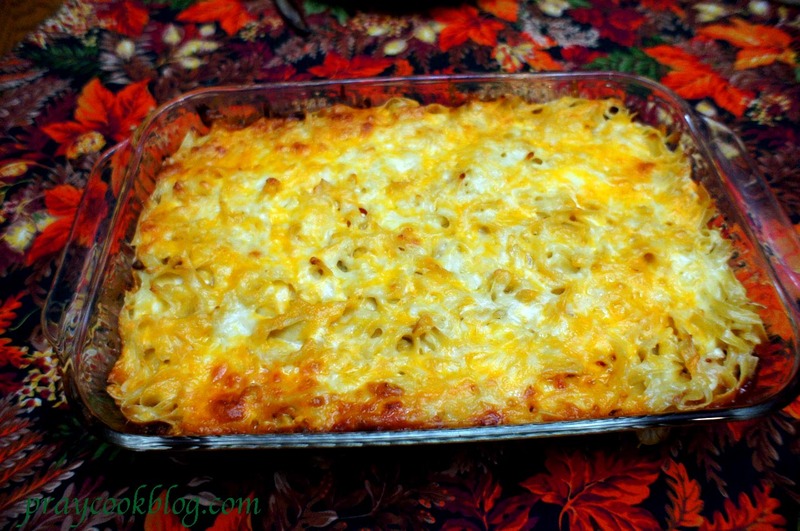 Well, I leafed through my cookbooks and found a recipe very similar to yours, it was even called Sour Cream Noodle Bake, and decided to make it. The recipe didn’t seem like it would make enough, so I DOUBLED the recipe. Much to my chagrin, the noodles tripled or quadrupled themselves and we had way too much for two people. 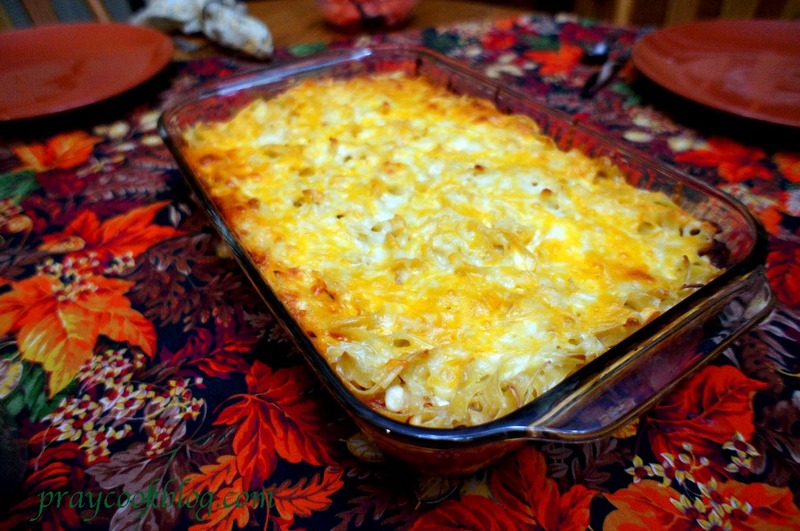 We don’t throw food away, so we ate and ate and ate on that Sour Cream Noodle Bake for almost two weeks. Needless to say, we were sick of it! I’ve never made it again, but Jeff and I still laugh at my first attempt at cooking as a married woman. Maybe it’s time to try your recipe. I promise I won’t double it!